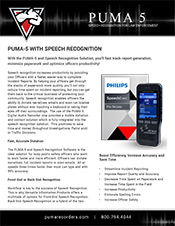 With the PUMA-5 and Philips SEPro+SR Solution, you’ll fast track report generation, minimize paperwork and optimize officers productivity! Speech recognition increases productivity by providing your Officers with a faster, easier way to complete Incident Reports. By helping your officers get through the stacks of paperwork more quickly, you’ll not only reduce time spent on incident reporting, but you can get them back to the critical business of protecting your community. Speech recognition enables officers the complete field report without ever touching a keyboard or taking their eyes off their surroundings. 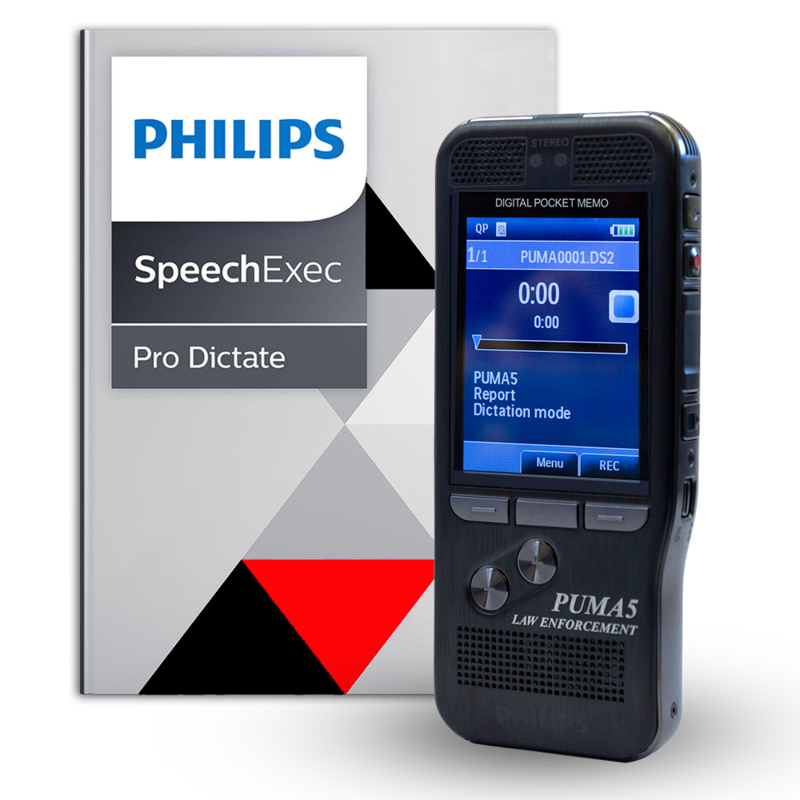 The use of the PUMA-5 Digital Audio Recorder now provides a mobile dictation and contact solution which is fully integrated into the speech recognition solution. This promises to save time and money throughout Investigations, Patrol and/or Traffic Divisions. Officers can also dictate into a digital voice recorder such as a PUMA 5 Digital Recorder for automatic transcription when they connect to their PC. Either way, Dragon turns talk into text 2x to 3x faster than typing. 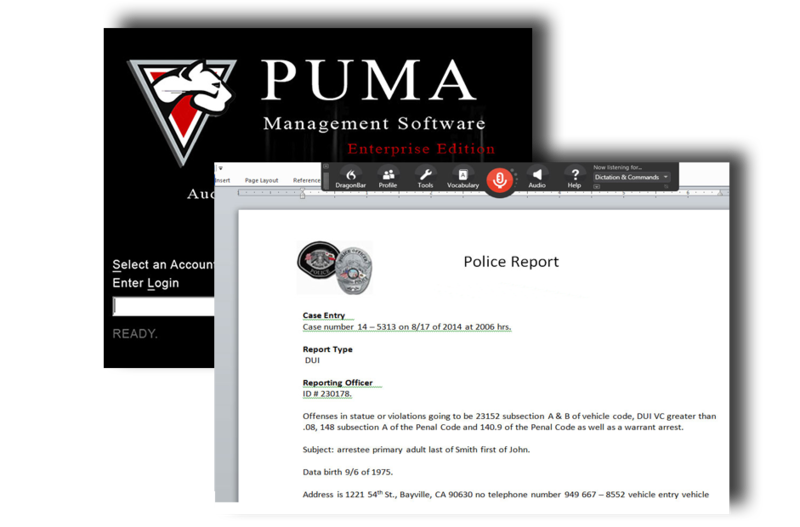 With PUMA and Philips SEPro+SR, officers can complete paperwork with unprecedented speed and ease so they have more time to focus on the most important aspects of law enforcement.